Do you find it a bit confusing looking for a new broadband package? Do you think broadband adverts can be misleading with their prices? This is the current debate in the news about broadband advertising. A joint study by the ASA and Ofcom found that fixed broadband adverts can mislead customers with their prices. They tend to separate the line rental costs, rather than showing a full up-front cost and as of May 30th this won’t be allowed. 74% thought the information about one-off and ongoing costs was unclear. Would you be able to calculate the costs of your bill based on a broadband advert from the information that they give at the moment? It can be difficult to get your head around and many people get caught out. Well, as always, we’re here to help and give you advice on what to look out for when you’re buying a new broadband package. First things first, what is fibre optic broadband? It’s an advanced broadband technology which provides a quicker internet connection than regular broadband, giving you super-fast speeds. Is it worth the extra cost? Well, if you use the internet a lot for downloading and streaming films, TV programmes, and music, then we would definitely recommend it. Unfortunately, fibre optic connection doesn’t cover the whole of the UK, so make sure that this is available before purchasing. Which broadband package is best for me? This really depends on what you use it for and there’s a range of packages available that you can tailor to your own preferences. If your family are sports or movie mad then you can add these on, usually at an additional cost. Make sure that you don’t get carried away with add-ons that you don’t really need, or you could end up paying more than you had planned to. How much does broadband really cost? Each option will come with a cost per month for the broadband contract. On top of that you have to pay a monthly line rental fee. Depending on the package and internet provider that you choose, you may also have to pay a one-off activation fee. These costs may not always be clear so make sure you check before you buy. Many packages come with unlimited data usage, but if you don’t think that you need all of that data you might save some money going with a capped deal. We have some great offers from BT Broadband and Sky Broadband. Our broadband discounts for NHS staff show you the costs on each deal, including the line rental and any activation fees. Any extras can be added later on at your own preference, making it simple and easy to understand. Unlimited Infinity Broadband – £10.00 a month + £17.99 a month line rental, includes weekend calls – for new BT customers. Unlimited Infinity 2 Broadband – £25 a month + £50 reward. £17.99 a month line rental, includes weekend calls – for new BT customers. Sky Broadband Unlimited – 33% off + £25 reward – for new Sky Broadband customers. Register for your NHS discounts for free and start saving money today! NHS Workers Can Claim Cashback on Purchases? Really? Did you know that NHS workers can claim cashback on purchases online or in-store? Well, you can with the Health Service Discounts Cashback Card. “What’s the catch?” we hear you say. There isn’t one. You can earn cashback on purchases at over 50 retailers including Argos, Boots, John Lewis, M&S, Sainsbury’s, Waitrose and Asda, to name a few. Click ‘Start’ on our new Roojoom below for more information. Get your Health Service Discounts Cashback Card and earning cashback today! It’s not always easy for NHS workers to lead a healthy lifestyle. Long, unsocial hours and stress at work can have a detrimental effect on NHS workers’ health and wellbeing. And let’s be honest, it can be very hard to say no to that extra biscuit at work, and even harder to motivate yourself to exercise after a long shift. This week is National Obesity Awareness Week (NOAW). Obesity is an ongoing issue in many countries, including the UK. Unhealthy eating choices and a lack of exercise are largely to blame. NOAW aims to raise awareness and to tackle the issue, helping people to live healthier lives. According to the State of the National Waistline Report 2015, only 56% of adults meet recommendations for levels of physical activity and 28.5% of adults don’t achieve 30 minutes of physical activity per week. Exercise isn’t just great for your body, it’s also good for your mind. It can reduce the effects of stress, fight depression and anxiety, boost brain-building hormones and spur brain growth. Combine that with healthy eating and you’re on the right path for a healthy 2016! Here are 5 steps NHS workers can take to make this year a healthy one. 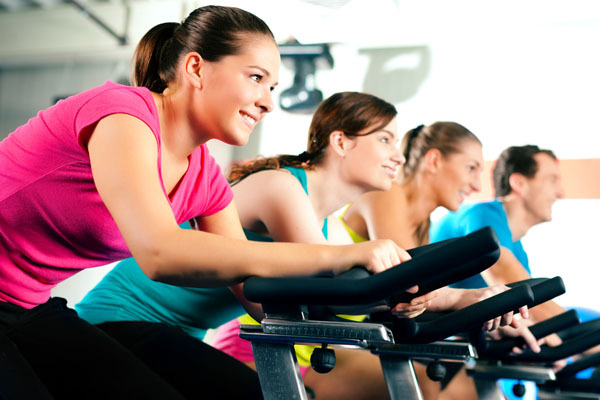 Now is a great time to join a gym and kick-start a healthier you. Getting into a routine at the gym and finding a workout plan that you enjoy can become very enjoyable. You can take things at your own pace and it can be very satisfying when you start to see the results of your hard work. If you’re shy or worried that people ‘might look at you’ in the gym, there’s no need to be. Everyone’s there for the same reason and no one cares what you look like. David Lloyd Leisure have a great discount for NHS workers at the moment – you can get discounted membership, reduced joining fee and a free members package, worth up to £205. Make sure that you eat well at work. This can be tough for NHS workers because, on far too many occasions, you don’t even get the chance to sit down and have a full lunch-break. However, it’s very important that you try to eat properly in order to fuel your body for the tough work that you do. You don’t have to spend loads of your time-off preparing meals either. Take a look at our tips to make sure you eat enough on your shift. You’ve seen them on your drive home from work – joggers in their bright coloured jackets, pounding the pavement, being all healthy. Well, that can be you! Get some comfortable running shoes and clothing, then you’re good to go. Ask one of your friends to be your running buddy. That way you can push each other so that you don’t miss a session. You could even compete against each other to help improve your fitness. Running is great for you and if you persevere, we’re sure that you’ll catch the bug. NHS workers can spend most of their day stood up or carrying equipment around the hospital. Over time this can cause back problems. Make sure that you do some light stretching at the start of your shift to get your muscles prepared for the tasks ahead. If you have a spare few minutes in between jobs at different times of the day, stretch some more. This can help to keep you loose and prevent any injuries. Joining a weight-loss program, like Weight Watchers, is a very popular way of achieving your health goals in 2016. They offer excellent support to help you lose weight, make healthier food choices and get more active. Take a look at our latest discount for NHS workers to get you started. Do you have any more tips for NHS workers to have a healthy 2016? Do you get enough exercise throughout your week? Let us know in the comments. The junior doctors’ contract row continues to dominate the news and strikes are underway. Last-ditch negotiations for new contract proposals recently broke down, as the British Medical Association walked out on talks, saying: “the government’s continued failure to address junior doctors’ concerns about the need for robust contractual safeguards on safe working, and proper recognition for those working unsocial hours”. We’re very proud to have a great following on social media and we love to hear the opinions of our NHS staff, so we wanted to find out what your views were on the junior doctors’ contract row. Do you have anything that you would like to add about the junior doctors’ row? Tell us in the comments or on our Facebook post. Chances are, you’ve not had a lot of time off over the festive period and you’re well overdue a good rest. So, now that the sleigh bells have faded away and the New Year’s parties have come to an end, it’s the perfect time to start dreaming about warmer weather and planning your summer holiday for 2016. First things first, you need to decide when you want to go on holiday. If you’ve got children, then you’re going to be looking at going in the school holidays. If you haven’t got kids and are a bit more flexible with dates, then it would be cheaper for you to go in June, July or even September. You’ll save more money this way and the resorts will be a bit quieter, leaving you to relax in peace and soak up the rays. Once you’ve decided on dates, don’t waste time in getting your holiday form in before your colleagues beat you to the best dates. You don’t want to end up being stuck at work covering other peoples’ shifts when you we’re hoping to be relaxing on a beach. January is the perfect time to plan your summer holiday because of the fantastic early booking deals that you can pick up. There’s plenty of sales on holidays out there, but you’ve got the added bonus of an NHS discount at your disposal. 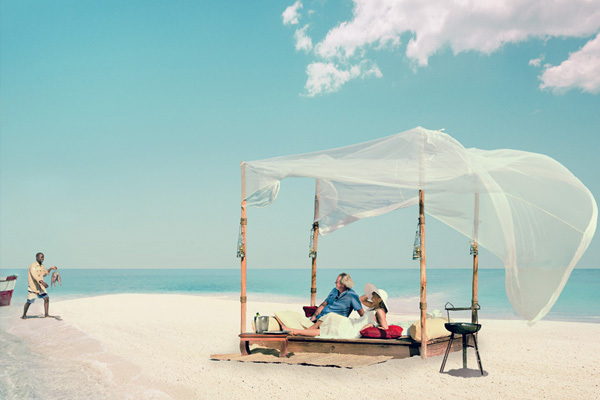 Take a look at the Virgin Holidays’ Sale and you can pick up an extra 5% NHS discount with an NHS discount code. Actually getting to the airport can be hard work and expensive. Looking for a good deal can save you some extra spending money. Purple Parking offer up to 60% off airport parking and you can get up to 25% extra NHS discount. Going on an all-inclusive holiday might cost a bit more to book, but you will save a substantial amount once you get there, particularly if you’re on a small budget. You can enjoy your drinks and meals without paying extra, avoiding the daily hassle of trying to find a decent restaurant to eat at. Don’t fancy going abroad this year? No problem! The popularity of UK breaks has risen dramatically in the past few years. Three quarters of Brits opted for a staycation in 2015, with Cornwall coming out on top as the most popular destination for summer holidays. Booking a cottage break is the perfect way to experience everything that the UK has to offer. Cottages.com have some fantastic deals on holiday cottages throughout the UK, and NHS staff can get an extra 7% NHS discount. 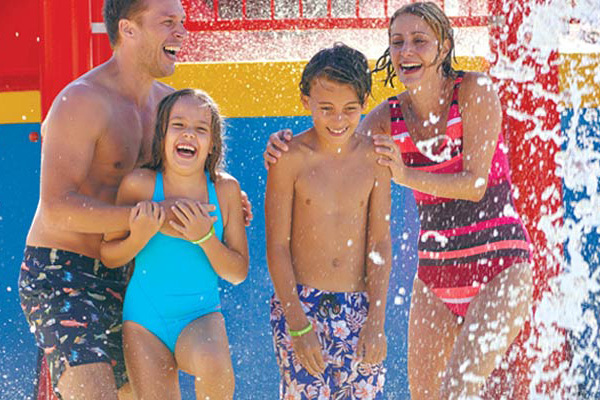 If you’re looking for an action-packed family holiday with something for all ages to enjoy, why not try something different this year and book a Eurocamp holiday? They have over 160 specifically-selected locations across Europe, activities galore and modern accommodation, plus you can get up to 50% NHS discount with your early booking. Register for free today to claim your NHS discounts and save money on your summer holidays this year. Big NHS Christmas Quiz Answers Revealed! We hope you had as much fun playing the ‘Big NHS Christmas Quiz’ as we did making it. Have you been itching to know which answers you got correct? Well, we couldn’t hold out on you for much longer. Q1: These three famous nurses all did great things for nursing and healthcare. Which one didn’t go to the Crimean War – Florence Nightingale, Edith Cavell or Mary Seacole? Q2: True or false – The NHS was born in 1947. Q3: Smoking in England was banned in restaurants, pubs and other public places, in what year? Q4: Which fictional doctor played the character Doug Ross in a popular television programme? Q5: What year was Louise Brown, the world’s first test tube baby, born? Q6: How many times a year does the average patient visit their doctor? Q7: What is this piece of equipment called? Q8: The UK’s largest specialist cardiothoracic hospital is called? Q9: Who is the CEO of NHS England? Q10: True or false – It’s free to register for your NHS discounts with Health Service Discounts. What score did you get in The Big NHS Christmas Quiz?